When it comes to travelling across India, you can use.. When it comes to travelling across India, you can use loads of options as long as they are convenient and affordable to you. For instance, if you want to travel from New Delhi to Mumbai, you can opt to fly, take the train or bus and even drive yourself there. There are loads of options, both competitive in terms of offers and prices and even schedules. This is because both cities are known for their robust business opportunities as well as huge market. Therefore, you should be ready for anything, as travel expenses can rise at any time. Besides, these two cities are also big on tourism, both domestic and international. It attracts business professionals, families and even students looking for some fun time and various forms of knowledge. So do you want to travel to Mumbai from New Delhi? Here is how you can easily manage through various means of transportation. Travelling by air between different cities in India is one of the most convenient and fastest means of transportation when compared to buses and trains. You can easily afford to book New Delhi to Mumbai flight tickets, throughout the year. This is due to the large number of private carriers that compete against each other, especially where price is concerned. Besides, it is easy to book the flight as well as compare their prices online. You can even set an alert on some top affordable airlines, to establish the best time to travel to Mumbai from New Delhi. Moreover, most airlines have different offers that can save you airfare and even food. You just have to look and maximize on them, before opting to fly out. 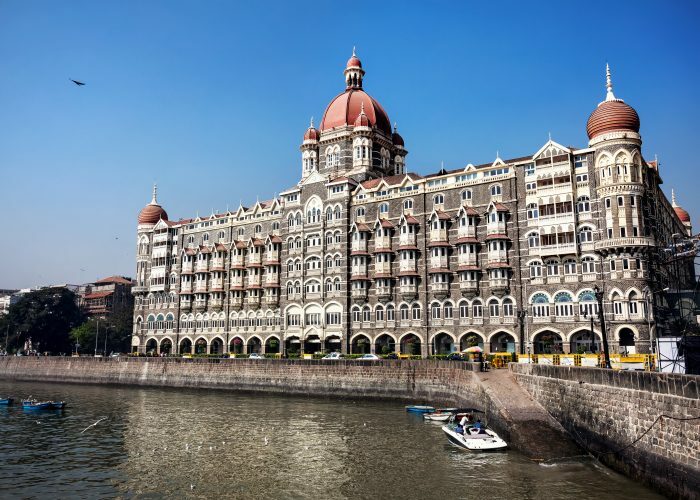 You should take note that flying to Mumbai from New Delhi is approximately 2 hours, as for the airfares they fluctuate in between holidays, peak and off-peak seasons. It is up to you to gauge, for the perfect time to make a flight booking, but everything can be done in the palm of your hands using a smartphone. This is the second fastest means of travelling between New Delhi and Mumbai. It takes approximately 15 hours 50 minutes to travel from New Delhi, NDLS to Mumbai Central, BCT. Depending on your location, you can check for the trains that pass through New Delhi to Mumbai as well as those stationed in New Delhi and destined to Mumbai. You can also check price, daily schedules as well as the best time to use a train and when the first and last ones leave and many more. All these information are available online. You can book your train ticket easily on train websites and even mobile apps. Besides, there are a few train terminuses in these two cities, so it will not be hard to find your way into and out of one. It is either here or there kind of thing. There are loads of bus services that offer transportation from New Delhi to Mumbai. If you are well conversant with the two cities, you can easily navigate these stations and make the right booking, depending on where you are in New Delhi and where you want to get off in Mumbai. You can check for when the first and last bus leaves as well as their other departure time. Besides, you can book and cancel a trip online. You should note that it takes approximately 36 hours to travel from New Delhi to Mumbai by bus. This is probably due to a number of stops in between these two cities. But you get to see and experience a taste of India, through the window and even take pictures. You can also hire a taxi or just drive from New Delhi to Mumbai. It will take you 19 hours 56 minutes to cover the distance. You can browse for different cab companies online before opting to hire one. Besides, you can easily hire and cancel a cab online. Just make sure you go for the reputable and reliable ones. Otherwise, you might end up late or never make it all to Mumbai. In conclusion, travelling to Mumbai from New Delhi is not that hard. You can opt for any of the above options, depending on whether you are in a hurry or not. Nonetheless, flying by air is usually the fastest and affordable, if you know how to book for cheap air tickets. However, the other options of transportation between these two cities are also good, as they enable you to see more of Indian through these two cities. It can be tiring but worth it for the adventurous and curious, as well as those with time on their hands.